Like crazy, creepy, gross and interesting things? Then mark your calendars for August 29th,2017 because the newest edition to the Ripley's book collection is hitting shelves near you. 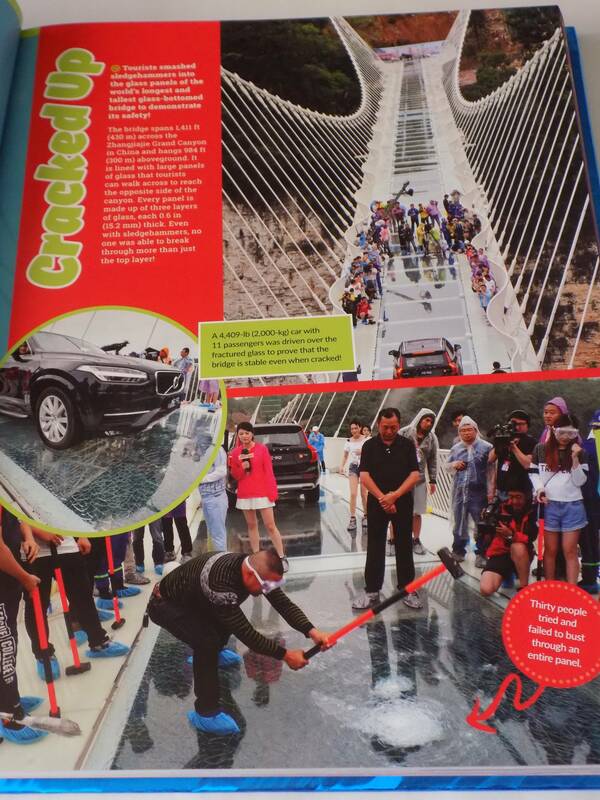 The newest book is called "Shatter Your Senses" featuring 256 pages packed with facts and photos that are sure to capture your imagination and send some of your senses on a ride. To achieve shattering your senses Ripley has included different articles and stories to go with each of the five senses, for example for smell you'll learn about how they sell fresh air in bags to tourists in Guangdong Province, China. Ripley likes to keep up with events and stories that have happened recently so not only will you find articles about things that have happened in the past such as the Wachee mermaids who have been performing since 1947 to things that happened within the last year such as Pokemon Go. This book has over 1,500 all new and all true stories to entertain and fascinate you. I've enjoyed this books for years, I remember buying them at the school book fair when I was younger so I am glad they are still publishing them because now my kids enjoy reading them as well. 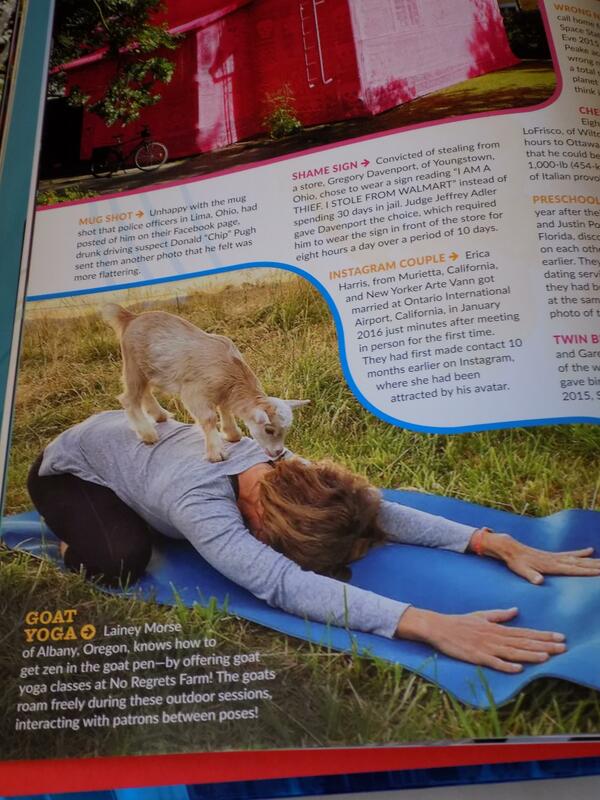 Some of the stories will make you go "Awwww" out loud, others will make you wrinkle your nose in disgust or feel a little queasy thinking about doing some of the crazy stunts yourself. Depending on how fast you read, this book may take you a day to read or it could take several either way one thing is for sure and that is the fact you will be entertained the entire time you are reading it. The team at Ripley's did a fantastic job going out and finding stories, photographing everything and collecting information for this book. It is hard cover and it is a stunning blue, the eye on the front appears to be coming out of the book and it is actually a moving 3D image, the eye appears to follow you as you move the book. As always this book gets a ten out of ten from me and I highly recommend checking this book when it comes out. It retails for $28.95 US/$34.95 Canada. August 29th is still over a month away and I know not all Ripley's fans want to wait that long to get their hands on that book so I am giving one of you a chance to win a copy ahead of the release date. Later this year I will also be stopping by the Ripley's Believe It or Not Hollywood Odditorium so keep an eye out for the review in November. 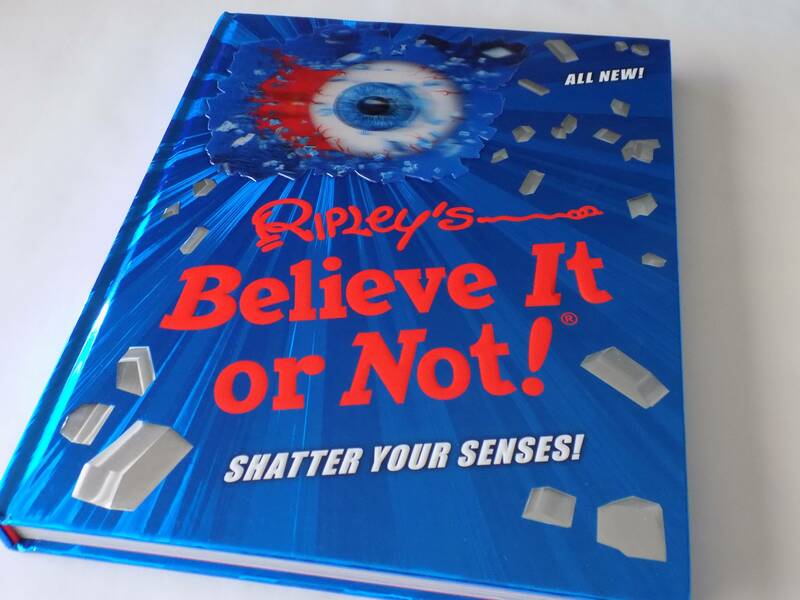 One lucky winner is going to receive a copy of "Shatter Your Senses" by Ripley's Believe It or Not! This is open to US & Canadian Residents ONLY! Please remember if you DO NOT leave a comment on this blog post as your mandatory entry into the giveaway then all of your entries will be void. Doing the Daily entries will increase your chance of winning. Winners have 72 hours to respond to the notification email! Giveaway entry question: Have you read any of their past books or have you watched the show? I have watched some of the shows, but the whole family has read the previous books. I have watched Ripley's Believe It or Not show. I also have been to the Ripley's Museum. I've watched the show and have read prior books. I have seen the show, I like watching it. 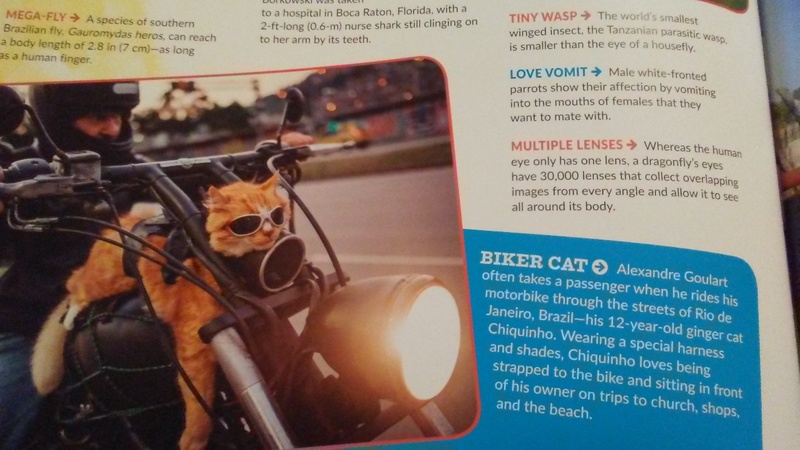 I have flipped through a Ripley's Believe It or Not article in a magazine at the doctor's office. And my son has checked out some of the books from the library. Have read other Ripleys believe or not books. The watched the show and read the books! And we love to visit Ripley's in Niagara Falls, it just minutes aways! I've only watched the show, never read the books. I have a couple of their previous books. I think they're interesting. Thanks. I have a read a few of the other ones! Very cool books! I have not read the books and I have not seen the show. We have not read these. I watch the Ripley's Believe It Or Not TV show all the time. My 12 yr old daughter with autism LOVES the Ripley's books!